Throwing pencils in the good ol’ classroom! Throwing pencils in the good ol’ CIA training facility! Throwing pencils in good ol’ space! 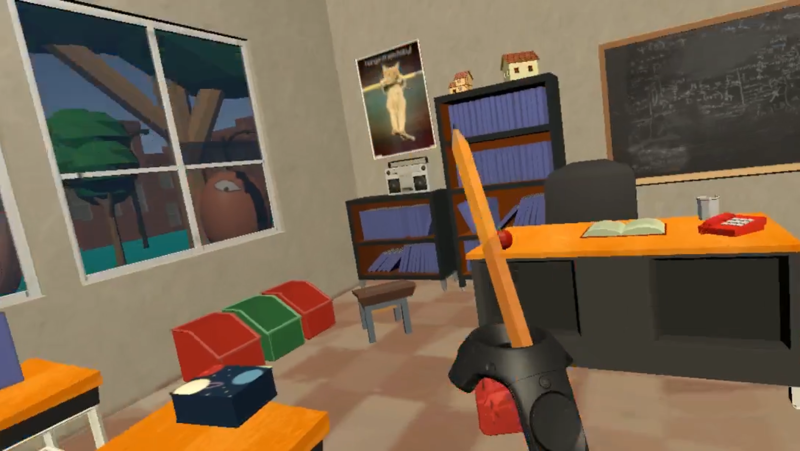 Project Graphite is a short virtual reality experience for the HTC Vive, in which the player takes on the role of a bored, pencil throwing, student. Throw Pencils, knock things over, break lights, and throw more pencils. 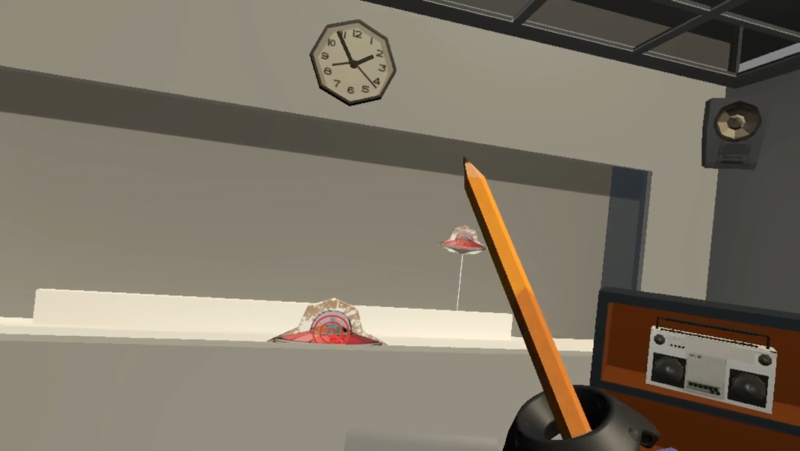 You are the ultimate pencil thrower in Project Graphite, and that is why the government needs you to defend the planet from HB lead allergic aliens. Are you up to the task?! My Role: I was a game designer and programmer for this project. 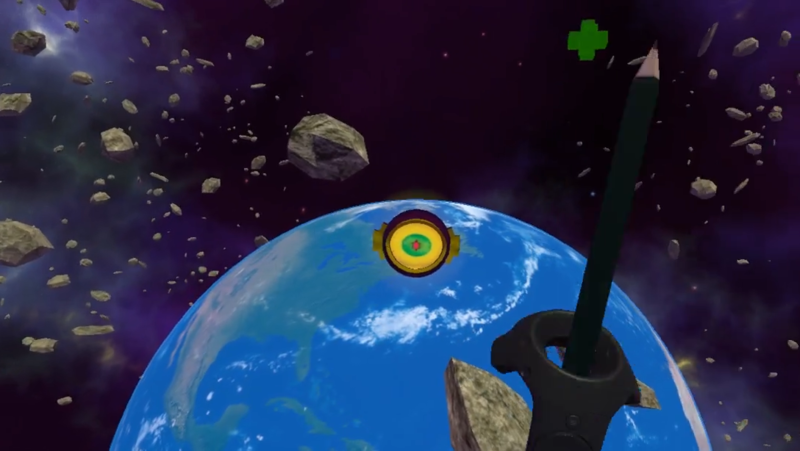 I helped implement the pencil throwing mechanic as well as the Alien AI.